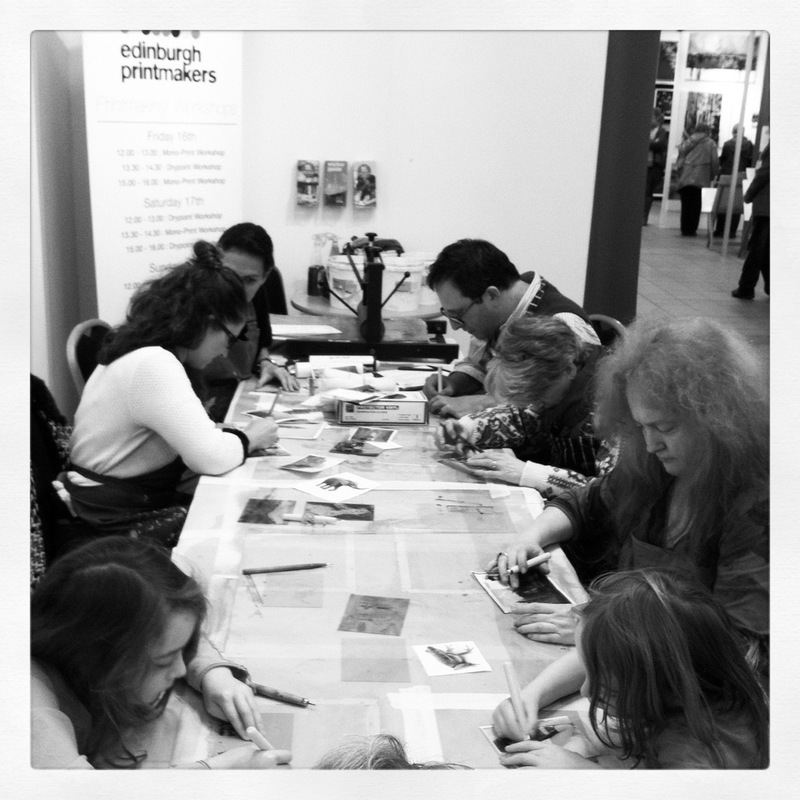 A few words about the Edinburgh Art fair, held last weekend at the Corn Exchange. It kicked off with a bang on the Thursday night preview but the hands on fun didn’t start until the following day. 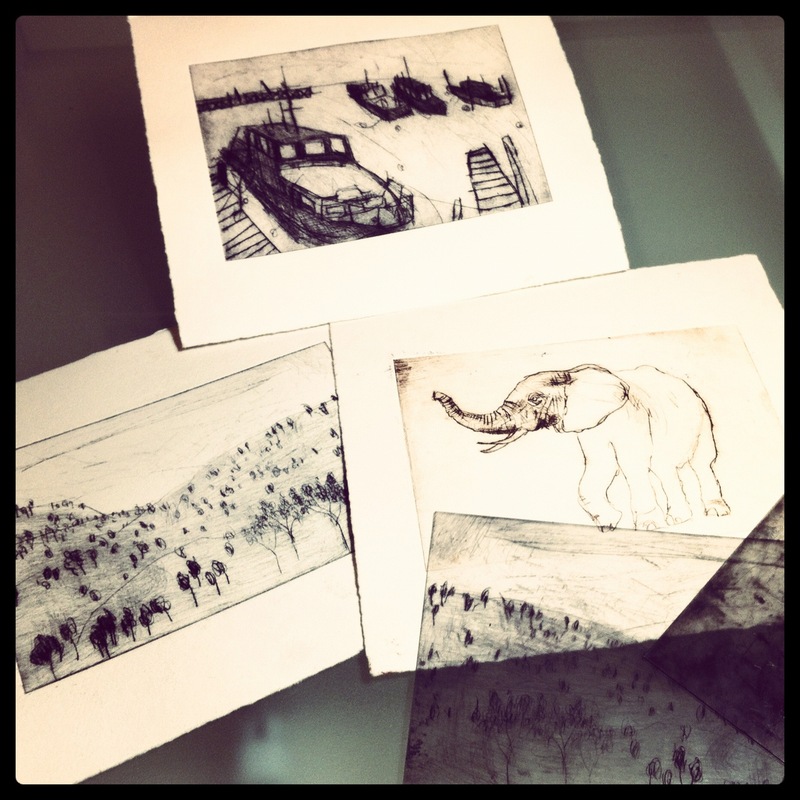 I, myself and another member of Edinburgh Printmakers ran a series of workshops on both Drypoint and Monoprinting. 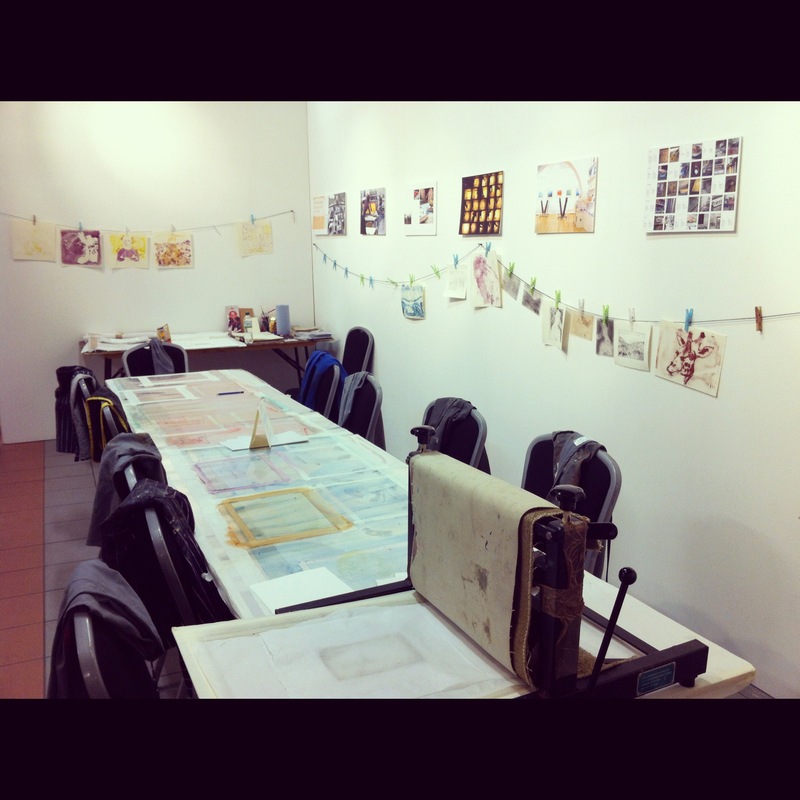 Unfortunaely the Edinburgh Printmakers open Day was also on that weekend so the equipment was divied up, leaving us with a little table top press, a bunch of aprons and few rollers, but we made the most of it and ran non stop workshops all day. People who were too shy to even contemplate drawing went away with a little print of their very own. It’s the first year that we have been invited by the organisers of the Art fair. I’m not sure whether we were commissioned to be the entertainers but people most definately enjoyed themselves…here’s some people hard at work…not even a peep from the kids! 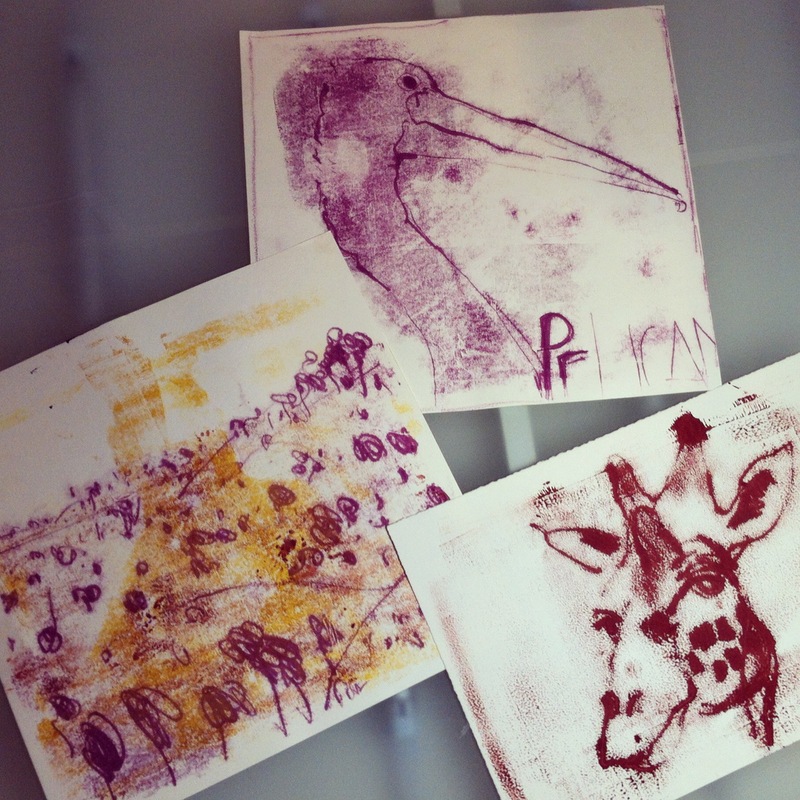 and the Monoprint samples….. this was a much messier technique..one for the kids! An effective, fast technique you can do at home.